The rise in popularity over the last few years in respect to competitive gaming or e-sports as its becoming commonly known is quite amazing. When you sit down and watch a football game you can hear the cheer of the crowd, possibly some commentary in a set of headphones tuned to the radio with all the excitement and atmosphere that goes along with that. Competitive gaming is the next frontier of sports, and boy has it changed. I remember about 5-6 years ago competitive gaming was very ‘underground’ and not many people really knew all that much about it. Back in 2004 I actually went to compete at the world cyber games qualifiers held in Melbourne playing Warcraft 3, I didn’t do too badly but not well enough to advance but back then there were a few major sponsors of the event but not a very big turn out of people came to watch the event. When I talked to friends at the time, some who were into gaming and some weren’t didn’t really know much or anything about the WCG or what competitive gaming really was all about. Around the early days ~2000-2001 there was an interesting thing taking place in Korea where they would televise starcraft and starcraft brood war touraments across the country. Very soon Starcraft became almost like the national sport of Korea and it only looked like a matter of time before it started really getting a grip in North America and Europe, then finally the rest of the world. Fast forward to 2009 and competitive gaming really started to see a momentum swing. With the launch of the StarCraft 2 beta most notably a crowd of esports followers really started to build, and a big part of that momentum had to do with a rise in popularity circulating replay’s online from tournaments and perhaps more enjoyable was watching those ‘in the know’ online commentate these replays. These types of people eventually became known as ‘casters’ or ‘broadcasters or competitive gaming’. I’m mostly talking about competitive gaming in relation to RTS (real time strategy games) with this article, but that is not to say these types of games are the only games played competitively. First person shooters were really one of the first genre’s of games people started playing competitively, especially with games like CounterStrike on the PC and Halo on the XBOX. People like HuskyStarcraft and HDStarcraft on YouTube really propelled the movement forward around the StartCraft 2 beta days posting videos of their commentary of Starcraft replays from big tournaments. Both these two eventually got enough support behind them to host a tournament of their own which was a big success and helped both commentators subscription base on YouTube explode. 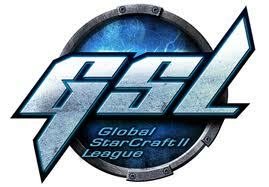 In this time the number of professional sponsored starcraft 2 teams that participate in each league has increased quite substantially. Gone are the days of individual players sponsoring themselves in tournaments (although some pro’s still do) most players can receive a salary playing starcraft 2 for a living. The ‘Team Liquid‘ starcraft 2 pro team are perhaps the most well known, offering advise on their website to new players as well as players trying to improve their skills. Their professional player list is quite distinguished, and were one of the first teams to find a good mix of Korean and ‘International’ (outside of Korea) players actually had a positive impact on practice sessions and made the team more versatile. With big technology companies such as Intel, MSI, ASUS and others sponsoring big events it will only grow the audience of professional gaming more and more. All e-sports really needs now is to have big events sponsored by companies outside of technology such as red bull, coca cola, etc and who knows where e-sports is headed. With more money being pumped into e-sports from an ever growing number of sources its only a good thing for competitive gaming, it brings in more players from around the world and with entrance fees to events organisers can start seeing some benefit in staging events. Every investment in e-sports, whether it be time or money can only help the sport progress. I’m looking forward to what the future holds for e-sports, and looking forward to see how far it can go because in a relatively short period of time it has grown in leaps and bounds, and mostly because of community support. Aussie Writers! Want To Work For IGN.COM? ← Break But I’m Back, New Stuff in a Few Days! i am not so familiar with competitive games like starcrafts. but i know that its fun because my brother plays that games. He is even hookes with pc games just recently. more power!